Creating a strong business with an outstanding profile doesn’t only help with securing a loan; it’s also crucial when attracting new customers. Unlike a personal credit report, anyone can see a business’s credit profile. This includes partners, suppliers, loan companies and even customers. Because of how public your financial history is to the world, it’s important to build it to a level that benefits your company. After all, customers, loan agencies and suppliers look at your profile in a similar manner as an employer looks at a resume. It’s not necessarily about your financial standing; it’s about your credibility as a business owner. 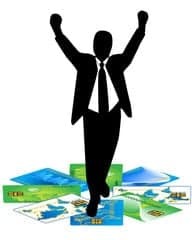 Even with a bad credit score, you can obtain a business loan to grow your new company. However, with a better score and a more responsible-looking credit profile, you’ll qualify for loans with lower interest rates, which help you to pay off the loan more easily and quickly. There are three main credit bureaus that hold and create the information responsible for your credit report. 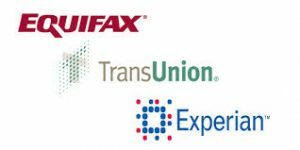 These companies include Equifax, Experian and Dun and Bradstreet. Unlike personal scores that have to go through FICO themselves, business credit lines are more complicated. Each of the mentioned credit bureaus has their own method of calculating scores. Different lenders even report varying data, which further affects the final outcome of your score with them. You won’t know which of these three credit bureaus your creditors, vendors or loan agencies will check, so it is a smart idea to maintain all three. Credit bureaus allow business owners to update their basic information which includes how long they’ve been in operation and the number of employees they have. You can even upload important financial documents and statements with these bureaus that will become public domain. The more that you complete your profile, the better off you’ll be because it will provide a full and rich source of information to those looking for it. Buying supplies from outside vendors could help your business credit. This is the direct result of something known as extended trade credit, which refers to a contract of paying off the inventory days or even weeks after receiving it. If your company deals with these accounts-payable relationships, you could ask the supplier to report these payments to all three credit bureaus. Your business’s credit score will increase as long as you continue to follow trade term agreements. You will need to have three or more trade lines to obtain a Dun and Bradstreet score, which will measure all past payment history. For companies that don’t work with large suppliers, you can choose to set up a trade agreement with smaller vendors like office suppliers or water distributors. Many of these smaller vendors won’t take the time to report trades with credit bureaus, but you can still list them as a trading reference on your profile. The corresponding credit bureau will follow up with this information to collect the data. Both personal and business credit agencies look at payment history as a deciding factor when determining your credit score. To ensure that your score stays in the good or excellent range, you need to make payments to your creditors on time. This includes credit cards you have in the company name, business loans and vendor accounts. Dun and Bradstreet will only assign a perfect score to a company that pays its creditors early. The sooner you can begin building credit, the better off you’ll be. A lengthy credit history weighs favorably to most agencies, especially if most of the items on the report are good. Using your lines of credit and credit cards will work in your favor as credit utilization is a deciding factor when obtaining your score. 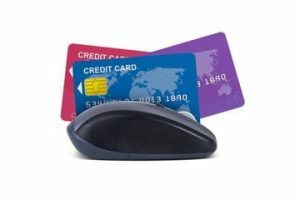 Try not to max your credit cards out as this could lead to debt problems. Only use about 20 to 30 percent of your credit limit. Taking out a small business loan can boost your credit if you always make payments before their due date and the loan company also reports this activity to credit bureaus. Not all lenders will report this activity, so try to look for ones that do to improve your report. Ask the loan company if they report their business to all three credit bureaus before you apply for one of their small business loans. Most banks will report activity to credit bureaus, but you won’t qualify to obtain a business loan if you have bad credit. There are some online lenders who approve bad credit borrowers and will report, with some of them including Lending Club, Funding Circle, OnDeck and Kabbage. Others, like SmartBix and FundBox won’t report, which can do damage to your credit report over time. Public records can be seen on your credit report by anyone who wishes to check this information. This information can include bankruptcies, liens and court-ordered judgements. If the court-ordered ruling was against you, this will have a negative impact on your business’s credit score. A lien is when a creditor is legally allowed to seize property if you do not pay the owed amount. Unfortunately, these negative annotations can haunt you for a long time. For example, bankruptcies stay on your report for up to 10 years while tax liens and judgements stay there for about seven years. When you build your business’s credit, you’ll be a candidate for lower-interest loans, credit cards and could even receive more affordable terms from your vendors. You can attract new customers who would otherwise be scared away by a bad business credit report. By continually checking your report, disputing errors and building fair trade lines with suppliers, you’ll be well on your way to improving your company’s credit to increase overall revenue. Michelle worked at a teller at her local bank while she was earning her degree in economics. Then, after completing an MBA, she came back to the bank as a loan officer. 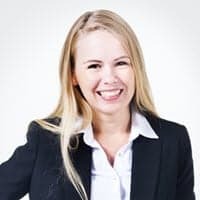 As a result, Michelle is uniquely suited to providing advice to small businesses when it comes to selecting the best loan and credit products.